Selected Science News: DOES GREEN TEA PREVENT CANCER? DOES GREEN TEA PREVENT CANCER? Although scientists are reluctant to officially endorse green tea as a cancer prevention method, evidence continues to grow about its protective effects, including results of a new study published in Cancer Prevention Research, a journal of the American Association for Cancer Research, which suggests some reduction in oral cancer. Vassiliki Papadimitrakopoulo, M.D., professor of medicine in the Department of Thoracic/Head and Neck Medical Oncology at the University of Texas M. D. Anderson Cancer Center, and colleagues tested green tea extract taken orally for three months at three doses among 41 patients: 500 mg/m2, 750 mg/m2 or 1,000 mg/m2. The researchers assessed clinical response in oral pre-malignant lesions and found 58.8 percent of patients at the highest doses displayed clinical response, compared with 18.2 percent among those taking placebo. They also observed a trend toward improved histology, and a trend towards improvement in a handful of biomarkers that may be important in predicting cancer development. Patients were followed for 27.5 months and at the end of the study period, 15 developed oral cancer. Although there was no difference in oral cancer development overall between those who took green tea and those who did not, patients who presented with mild to moderate dysplasia had a longer time to develop oral cancer if they took green tea extract. Although encouraged by the results, Papadimitrakopoulo cautioned against any recommendations that green tea could definitely prevent cancer. "This is a phase II study with a very limited number of patients who took what would be the equivalent of drinking eight to 10 cups of green tea every single day," said Papadimitrakopoulo. "We cannot with certainty claim prevention benefits from a trial this size." 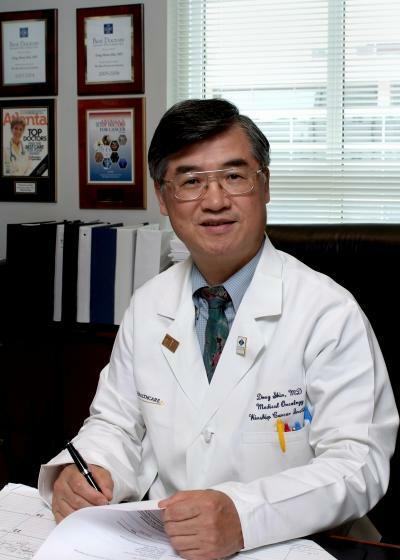 Dong Shin, M.D., professor of hematology and medical oncology and Blomeyer Endowed Chair in Cancer Research at Emory School of Medicine, agreed, but said this trial is certainly a step in the right direction. "A clinical trial with a natural compound is no easy task, and these researchers have accomplished that," said Shin, an editorial board member of Cancer Prevention Research. "The lack of toxicity is also important because often when you give supplements at higher doses than what would occur naturally, you induce nausea and vomiting. That did not happen in this trial." Neither researchers had a reason why patients concerned about cancer should not drink green tea, but they cautioned against relying on the beverage to definitively reduce their risk of cancer. "The goal of this kind of research is to determine whether or not these supplements have long-term prevention effects. More research including studies in which individuals at high risk are exposed to these supplements for longer time period is still needed to answer that sort of question," said Papadimitrakopoulo.